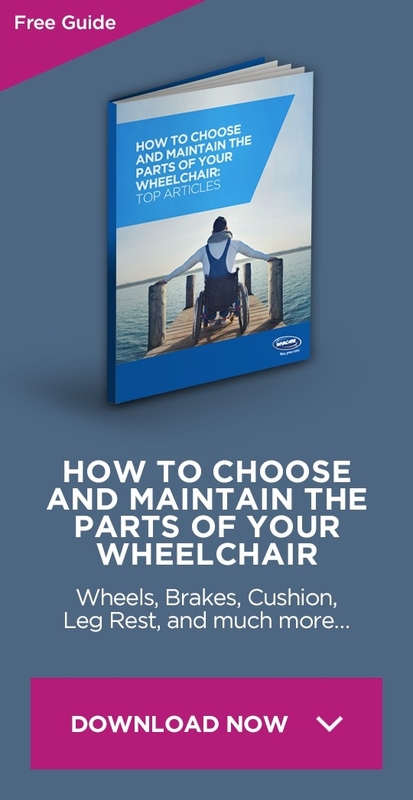 The majority of wheelchair users pay great attention when selecting a wheelchair to fit their needs, but what about their bathing and toileting needs? 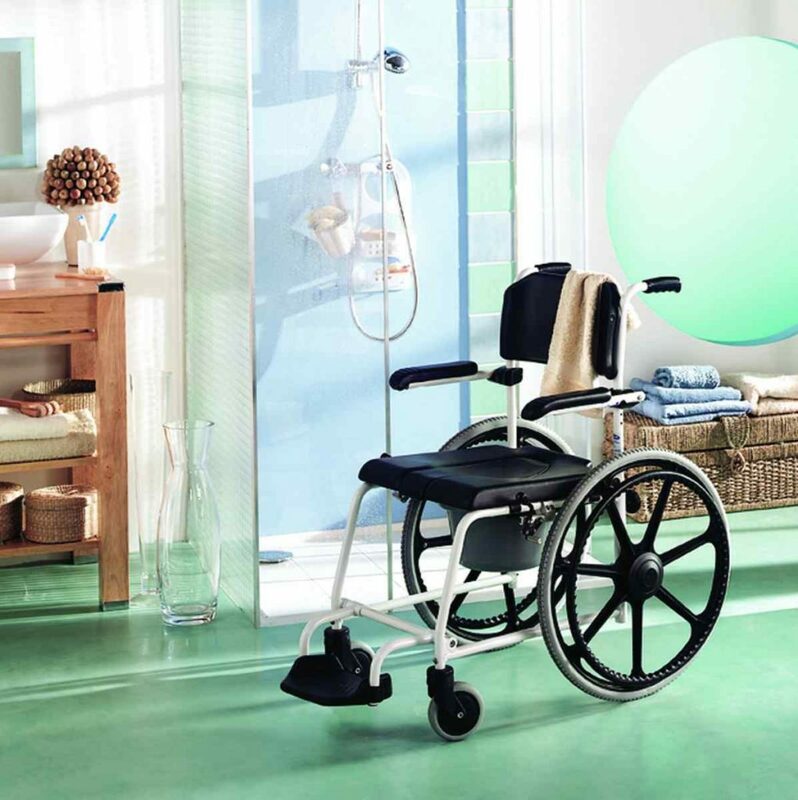 This article examines the mobility shower chair, and considers why choosing this type of equipment should be just as important as selecting a wheelchair. The width of the shower chair should match the dimensions of your hips in order to achieve appropriate support. Aperture is the space and shape of the seat in order to permit toileting. You may need to have a padded seat (to reduce the risk of skin breakdown) with a horse shoe opening. It is essential that the correct size and shape of aperture are made at the time of ordering because otherwise the whole chair may need to be reordered. It can be in an upright position or at an angle. 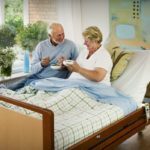 It is important to determine the right height of back support on the shower chair, and if the back support needs to be padded or not, since this information is essential for the ordering process. They can be vertical or at an angle. In order to achieve the best position for comfort. They can also be removable or foldable. They can usually be removed or swing way in order to facilitate transfers. Foot plates usually flip up and they may have heel and/or calf straps in order to prevent feet from sliding Or getting caught in the wheels. This option may be required the user is unable to maintain his/her balance in an upright position, but keep in mind that tilt in space models may limit the ability to use the equipment over the toilet. 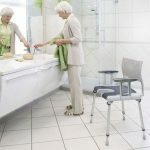 Self-propelled mobility shower chairs are designed for the user to propel independently into a level access shower or over a toilet. 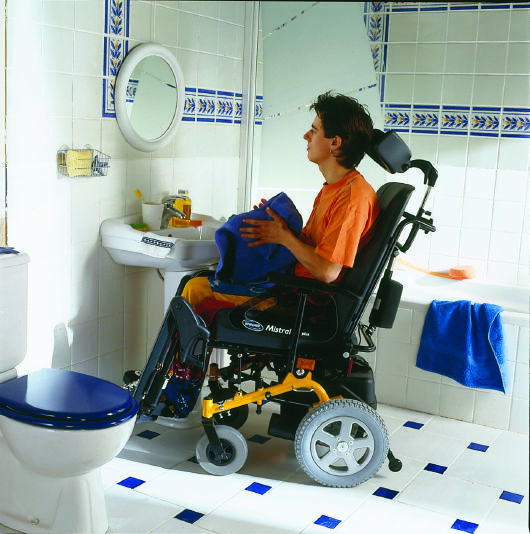 Larger wheels are obviously essential if the user can self propel but they can also be much easier for carers to propel or push people, especially on carpeted floors. Consider this safety tip; Remember to check you can reach the brakes if self propelling! 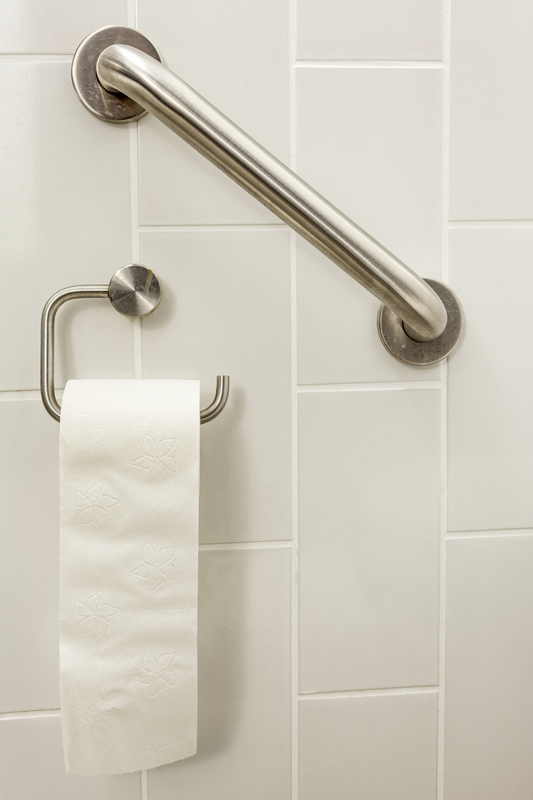 If you will also use the toilet, a point to remember is to check that the wheels enable the chair to be wheeled over the toilet, because sometimes they can interfere with the pipes behind the toilet. These types of mobility shower chairs are designed for the user to be pushed into a level access shower. They have small caster wheels which can make it more difficult to maneuver on certain floor surfaces. Their main advantage though is that they take much less space due to their smaller size. Using a mobility shower chair has lots of benefits. It will allow you to be seated in a supported position thus achieving safety and comfort. It will also allow you to keep transfers to a minimum. A mobility shower chair is a valuable aid for the carer as well. But above all, get an assessment from an occupational therapist.